Crate Tech recently added steel fabrication and powder coating to our list of materials. While we primarily specialize in packaging large industrial components, and utilizing large steel reusable and collapsible products, nothing is beyond our ability. Crate Tech has an in-house steel fabrication engineer and is able to assist in the design of any steel product needed by our customer. This includes a steel fabrication plant that produces cutting- edge reusable containers. Like our wood division, no job is too big or too small for this division either. Along with the reusable containers, we have built custom metal work tables, specialized holding fixtures, tool carts, and even scaffolding! 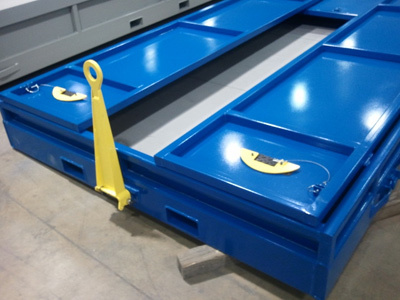 Additionally, Crate Tech has on-site a 40’ x 10’ powder coating booth with sand blasting capabilities to ensure a professional and lasting end product. 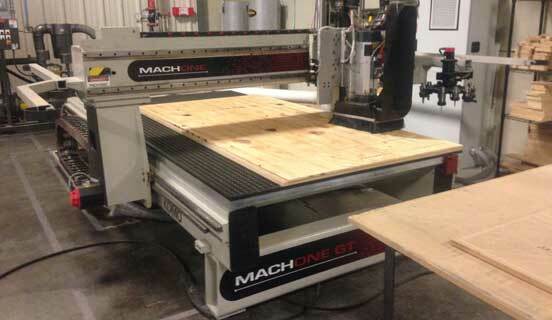 The Komo Mach One 510 CNC Router offers endless solutions for your project. Operating on a 10’ x 5’ table, it can cut wood, metal, plastic, foam, and so much more! This is a high accuracy router, making it a great tool for those precision projects. Crate-Tech now has the ability to make cuts with a CNC Plasma Cutter. 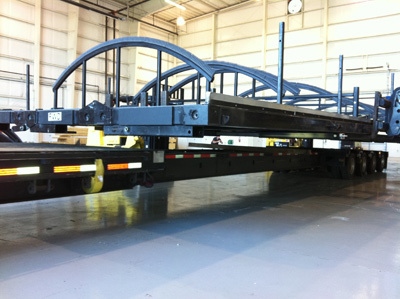 The Thermal Dynamics Plasma Cutting System operates on a 10’ x 5’ table. Capable of cutting up to 3/4in. material, it can make any custom cut you need. We can duplicate the cuts you already make, or draw a new project for you.